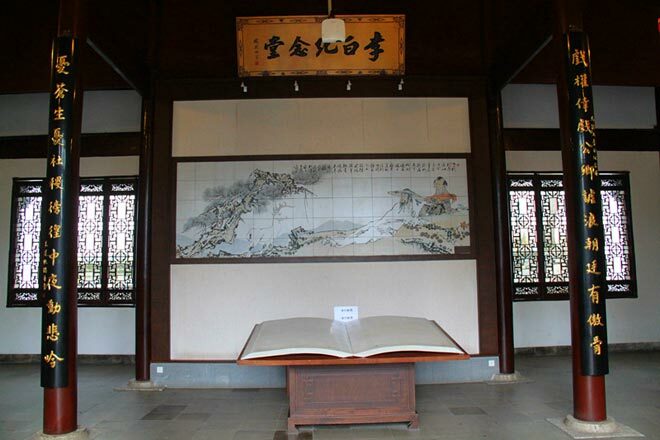 CaiShiJi is located in the Cuiluo Villa of the CaiShi Park which is approximately 5 km southwest of Ma'anshan urban area. 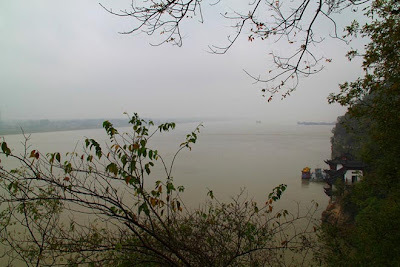 It is one of the "Three Famous Rocks along the Yangtze River", and the other two are the Yueyang Chenglingji, and Nanjing yanziji. 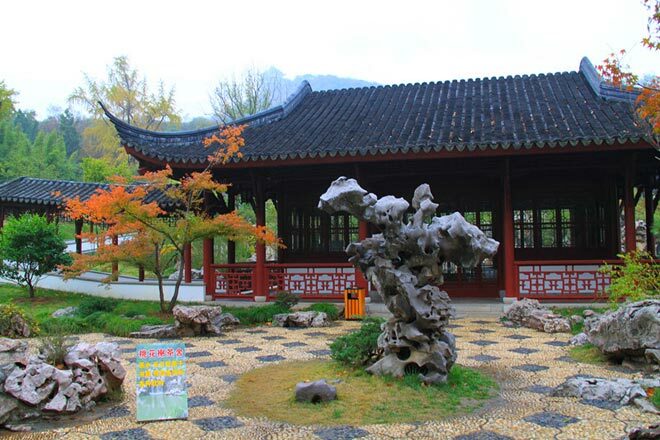 It is the most famous of the Three Ji for its steep mountains, beautiful scenery, and numerous monuments. 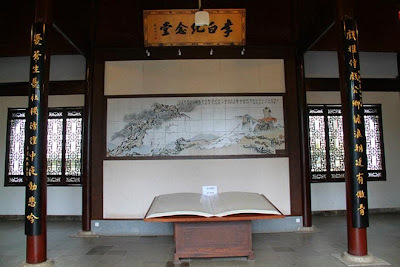 There is towering river, overhead cliffs, fast-flowing, and difficult terrain in CaiShiJi, so it is also the ancient battleground in the ancient times. 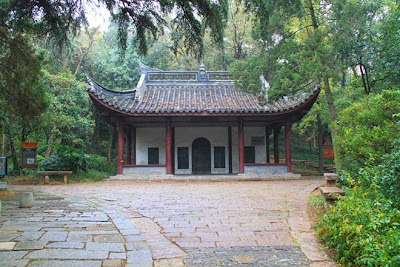 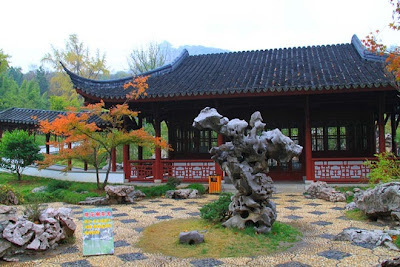 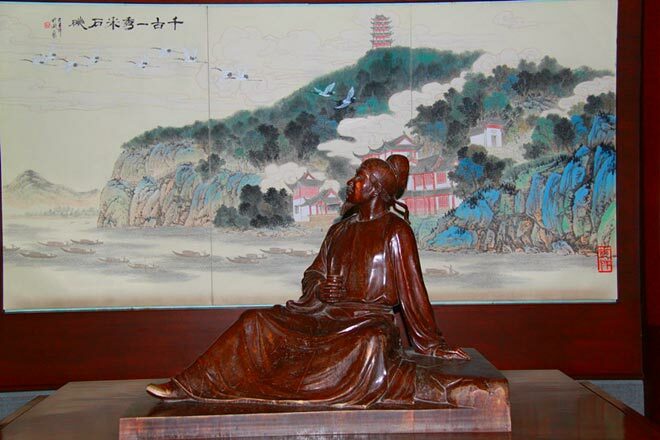 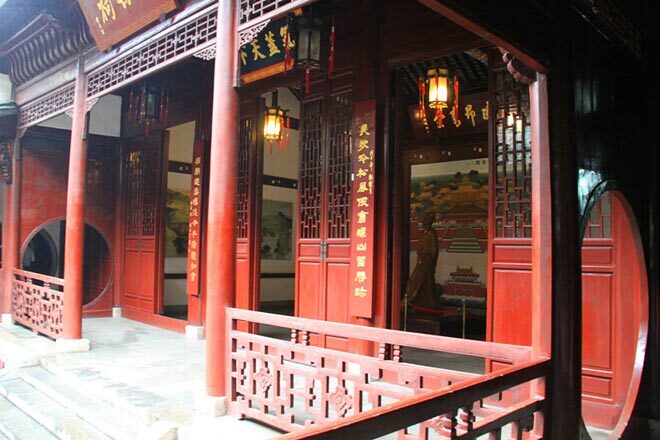 Cai Shiji is now a national 4A level scenic spots, one of attractions of the Ma'anshan City. 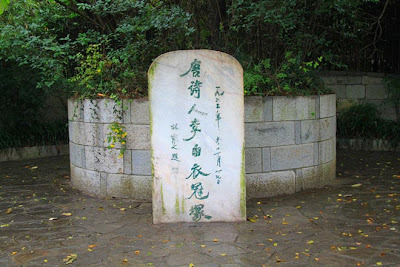 Cai Shiji has always been the famous scenic spot in Jiangnan, and attracted many scholars celebrities come to chant and wrote poems through the ages, such as Bai Juyi, Wang Anshi, Su Dongpoand, Lu You, Wen Tianxiang, and especially the poet Li Bai in the Tang Dynasty, who loved the landscapes of Cai Shiji very much, and had toured many times to Cai Shiji, and left many famous poems here. 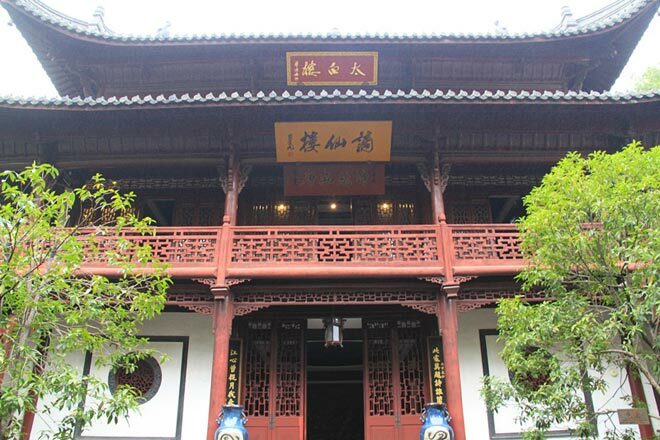 In 1986, Ma'anshan Municipal People's Government converted a group of Qing Dynasty buildings into Li Bai Memorial showrooms, including Taibai Building, Li Bai Temple, Qingfeng Pavilion, Taibai Church, Tongfeng Court, Qijing Villa, Xianlv Building, Diecui Building, and Yinxiang museum hall etc. 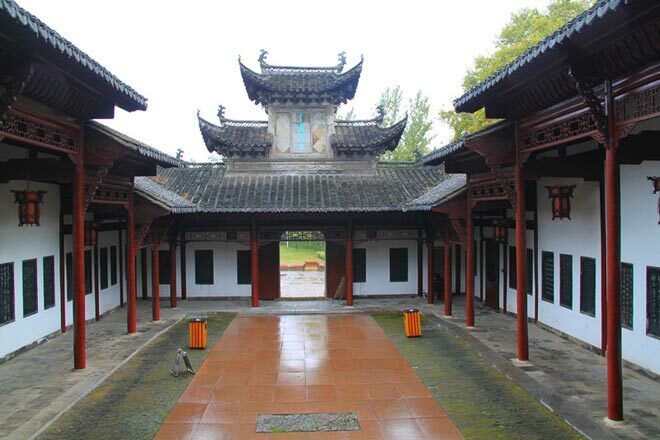 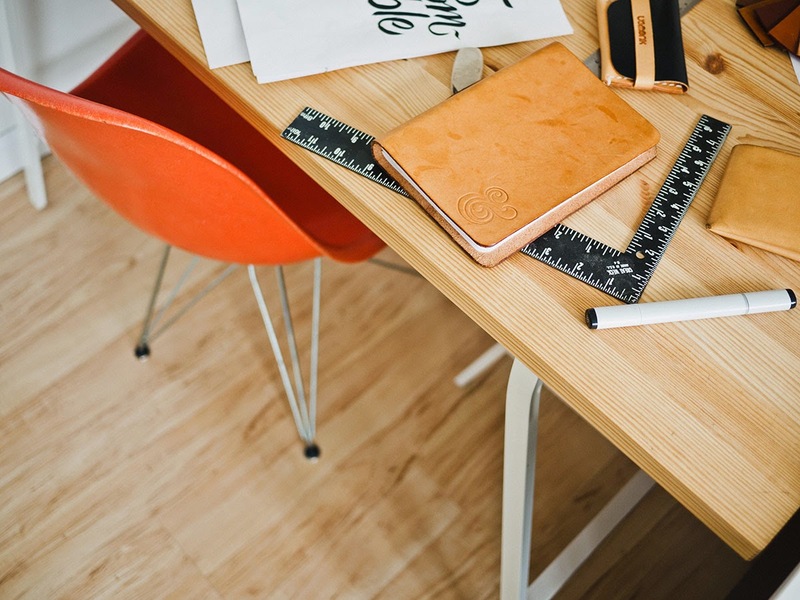 covering an area of more than 10,000 square meters. 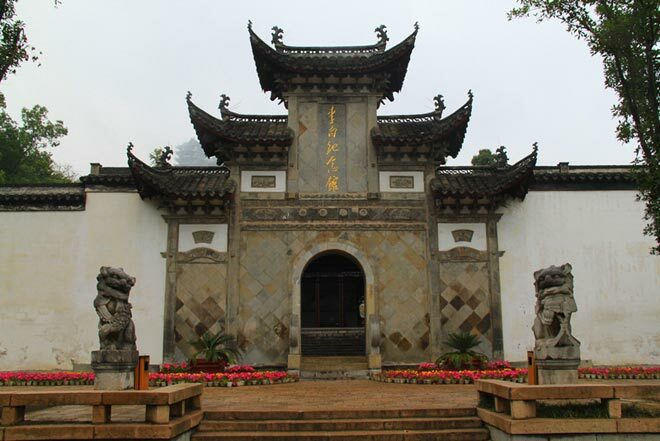 Taibai Building lies in 1 km southwest of Caisiji Town, facing the Yangtze River, back on the Cuiluo Mountain, and is a magnificent ancient architecture. Taibai Building is 18 meters high, thirty-four meters long, and seventeen meters wide, the main building has three layers, the first layer is the hall. 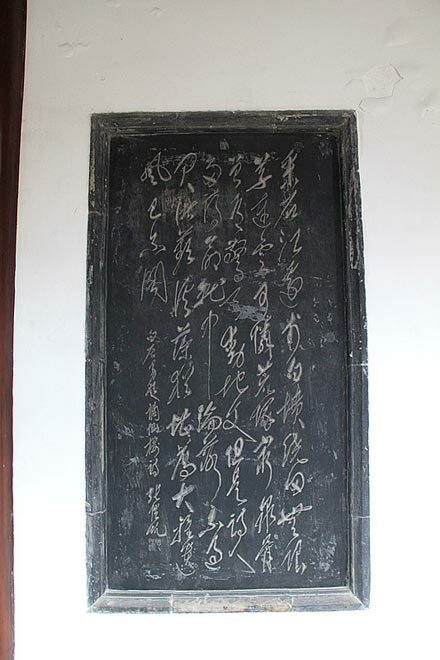 There are inscriptions of Li Bai and reconstruction Chronicle of the Qing Dynasty inlaid with on the two wall of the corridor. 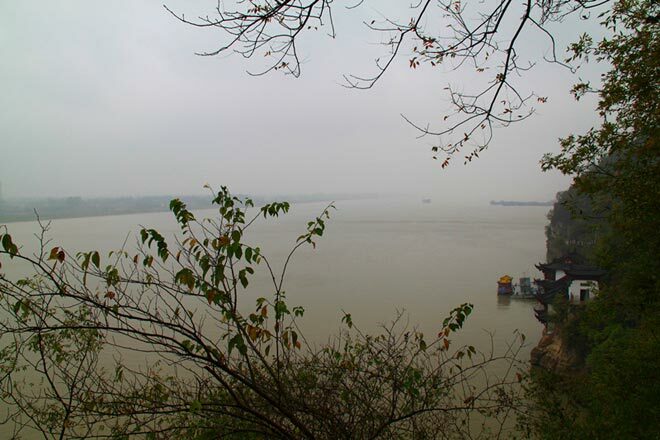 Along the edge of wooden ladder up to the third floor, visitors can overlook from the window to see the Yangtze River.